Pretty Lizzie Higgs is gone, burned to death on her own hearth – but was she really a changeling, as her husband insists? Albie Mirralls met his cousin only once, in 1851, within the grand glass arches of the Crystal Palace, but unable to countenance the rumours that surround her murder, he leaves his young wife in London and travels to Halfoak, a village steeped in superstition. 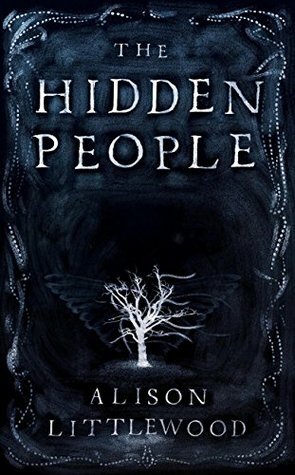 Albie begins to look into Lizzie’s death, but in this place where the old tales hold sway and the ‘Hidden People’ supposedly roam, answers are slippery and further tragedy is just a step away . . . This is an excellently written and thoughtful book, written in an authentic 19th century English style it tells us the story of a young woman murdered by her husband, through the eyes of her cousin who goes to make her funeral arrangements. Though the specific year isn’t noted (actually, it might have been but I missed it), the story is set in the 1800s during the reign of Queen Victoria. Albie, our protagonist, rushes off to the Yorkshire as soon as he receives news of the death of his cousin. He has fond memories of her from their youth and in the absence of any other family, he takes it upon himself to make sure she is put to rest respectfully and to make sure that justice is served to the one responsible for her death. Coming from London and a wealthy family, he underestimates the power of superstition that still rules the rural North and after spending time in the cottage of his deceased cousin, he starts to wonder if perhaps there is something to the old stories. This book was really different to classify in terms of genre, Goodreads calls it ‘mystery’ and ‘historical fiction’ but I’m leaning towards ‘literary fiction’. I found my attention wandering while reading this book, and though I recognise that this book is going to be very well received for a number of reasons…. I didn’t really enjoy it all that much. I might just be getting lazy and genre-bound, reading paranormal fiction and horrors like it’s going out of fashion but this book was hard work to read and I felt that not enough really happened to make it worth my while putting that much effort in. Ok, I’m definitely getting lazy but I think there’s a reason that language has evolves do much in the past 200 years – it’s now possible to convey more in fewer words, and that’s something that I really appreciate about the modern world. If you’re a big fan of classics in the style of Wuthering Heights (without the whirlwind romance), this book might be right up your street. I’m sure that most people will love this book so I would love to hear your thoughts if you do pick it up! Great to see another review for this book. I also read it a while back and I felt pretty much like you did- my mind wandered; and I could also see how this book could go down well with some because of the brilliant writing. So glad it’s not just me! !